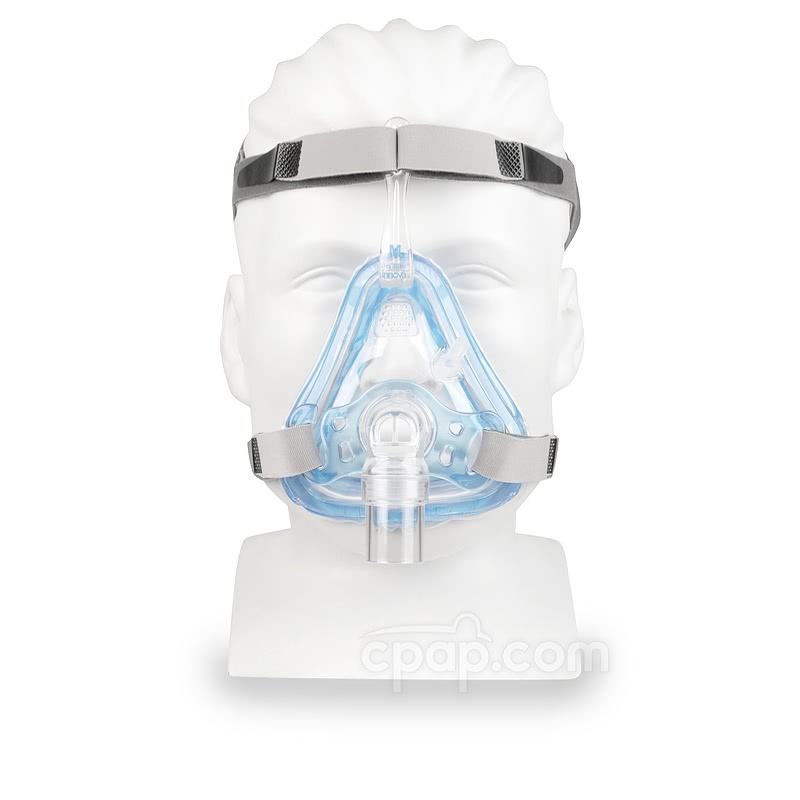 " I have been using a CPAP for over 15 years and this mask is the best fitting and the most comfortable I have used. No need to over tighten it to get it to seal. " The Innova Full Face Mask with Headgear distributed by Devilbiss brings AIRgel cushion technology to the full face format. Features include an active headgear connection and a frame which leaves an open line of sight. The Innova Full Face Mask features components that aim to provide the best seal possible at initial fit and during sleep. 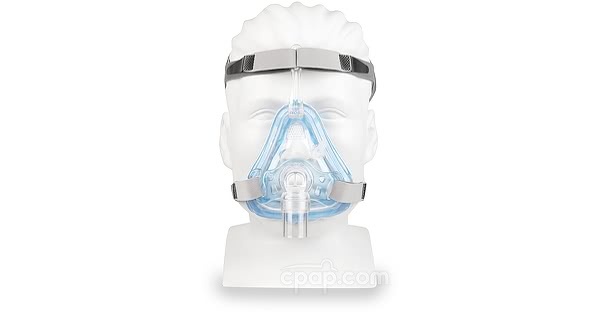 This is a full face mask which covers both the nose and mouth. The Innova Full Face Mask feautes a blue AIRgel cushion which is permanently attached to the mask frame. The gel cushion contours to the face for a better seal. 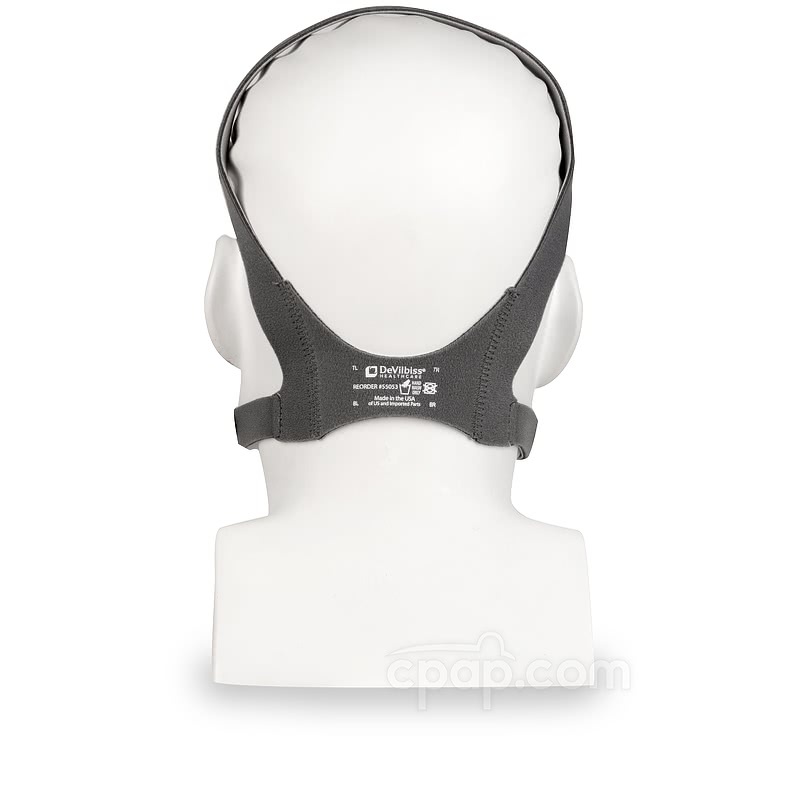 The Innova Full Face has a slim connection at the forehead to attach the headgear. While in use, the only parts of the mask in contact with the face are the cushion and headgear. The minimal size of the forehead piece leaves line of sight clear for bedtime reading. The lower headgear connector on the Innova Full Face is a pivoting piece to allow for easier movement during sleep. If sleeping positions change, the mask frame is more likely to stay in place while the headgear can move to better adapt. 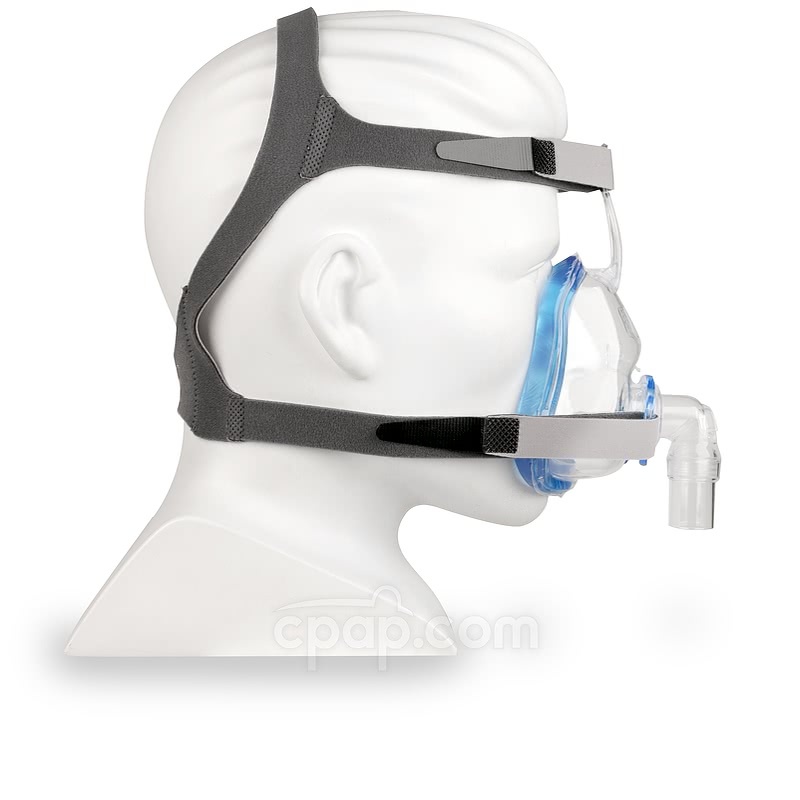 The Innova Full Face Mask frame features an oxygen port to supplement oxygen into the CPAP air. The Innova Full Face is latex free. Looking for a nasal version? 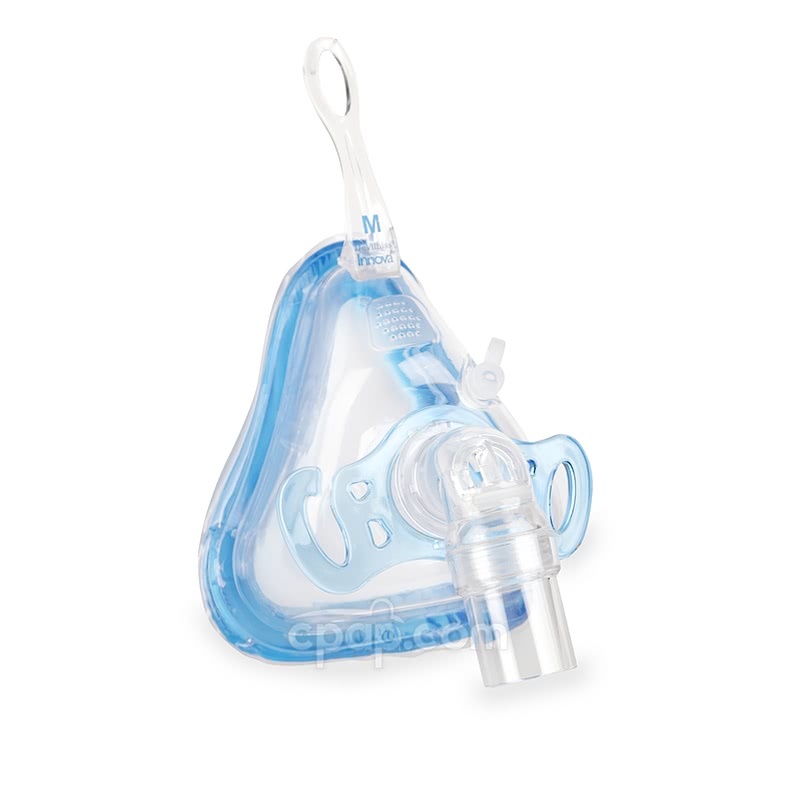 See the Innova Nasal Mask. Latex Free: The Innova Full Face Mask is not manufactured with natural rubber latex. Temperature Note: Do not expose the Innova Full Face Mask to temperatures above 140° F.
Cleaning Instructions: Wash daily with warm water and mild soap and allow to air dry. 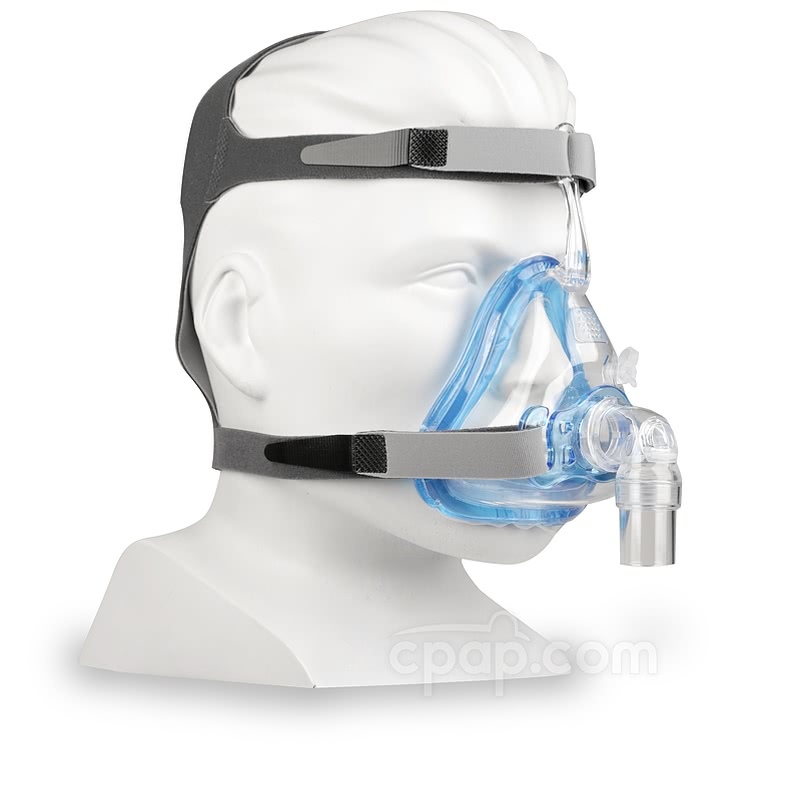 Distributer & Manufacturer: The Innova Full Face Mask is manufactured by SleepNet and distributed by Devilbiss Healthcare. The packaging and inserts are labeled "DeVilbiss Healthcare" and note SleepNet as the manufacturer. Cleaning Instructions: It is recommended to wash the mask and headgear daily with warm water and mild soap. Rinse throughly after washing and allow to air dry. The size is indicated with a blue letter located on the forehead support arm. The cushion, which is built-in, reflects the size located on the forehead support arm.